The United States announced an end to its 20-year-old trade embargo against Sudan on Friday, citing what it said are improvements in Khartoum's human rights record. Washington did not drop Sudan from its blacklist of state terror sponsors nor end its support for the international war crimes indictment targeting President Omar al-Bashir. 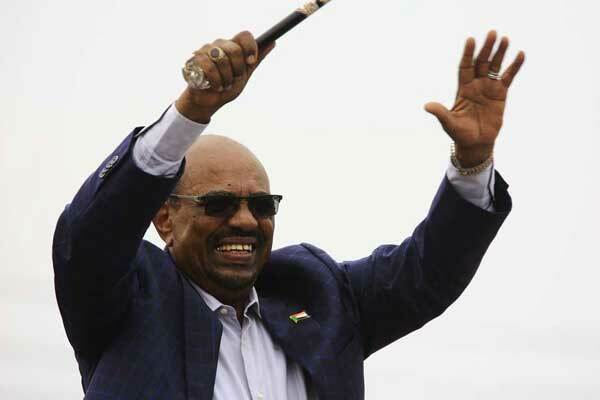 But the decision was nonetheless a breakthrough for Bashir's regime, which has engaged with Washington in a bid to end the international isolation that it has suffered since the bloody crisis in Darfur that broke out in 2003. Some human rights advocates denounced the move, the fruit of an intense 16-month diplomatic initiative that began under former US president Barack Obama, but other observers cautiously hailed it as a small step forward for the region. Secretary of State Rex Tillerson published a report confirming the decision, and State Department spokeswoman Heather Nauert said the order would come into effect on October 12. It came, she said, "in recognition of the Government of Sudan's sustained positive actions to maintain a cessation of hostilities in conflict areas in Sudan." And she cited what she said was Sudan's sustained commitment to "improve humanitarian access throughout Sudan and maintain cooperation with the United States on addressing regional conflicts and the threat of terrorism." Sudan welcomed the move, in a foreign ministry statement carried on the official SUNA news agency. "The leaders of Sudan, the government of Sudan and the people of Sudan welcome the positive decision taken by American President Donald Trump of removing the economic sanctions completely," it said. Specifically, US officials told reporters Sudan had refrained from new violence in three areas of its territory where its forces were accused of widespread atrocities: Darfur, South Kordofan and Blue Nile. In addition it has improved humanitarian access to former conflict zones and halted its attempts to destabilise South Sudan, granted independence in July 2011. The officials said US and Sudanese counterterrorism cooperation had improved and Khartoum was now helping regional efforts to hunt Joseph Kony's rebel Lords Resistance Army. But work remains to be done, and Washington wants to see more improvement in Sudan's behaviour before there is any talk of restoring full diplomatic ties. "This marks one step forward on a long and hard road where much more progress is needed," a senior administration official told reporters. As one of three countries designated a state sponsor of terror — in Sudan's case for allegedly sponsoring violent Islamist extremists — Khartoum remains under a US arms embargo. Another official also cautioned that Sudan must comply with UN Security Council resolutions banning the import of weapons from North Korea. "We will not necessarily take the government at their word," he said. "We will be closely monitoring the situation, and they understand that we have zero tolerance for continued arms deals with North Korea." In 2009, the International Criminal Court in the Hague issued an arrest warrant for Bashir, alleging he was responsible for five counts of crimes against humanity. The US officials said that nothing had changed in Washington's support for this action, and that targeted US sanctions related to the Darfur conflict would remain in place. "We continue to call for all those responsible for crimes in Darfur to be held accountable and to support... justice for all the victims of the crimes in Darfur," one said. Reaction to the decision from experts was mixed. Andrea Prasow, deputy Washington director of pressure group Human Rights Watch, said: "It sends the wrong message to lift these sanctions permanently when Sudan has made so little progress on human rights. "Sudanese government forces continue to attack civilians, gun down peaceful protesters, and imprison human rights activists and Sudan's president is wanted for atrocity crimes in Darfur." But the International Crisis Group, which studies and promotes conflict resolution, gave a guarded thumbs up. "This is a big day for Sudan," said ICG Sudan analyst Magnus Taylor, arguing that the US "five-track" diplomatic process had proved effective in convincing Sudan to cooperate. "Sudan sees this as a first rung, albeit a big one, on the ladder towards normalisation," he said. "If the US is smart it will use the momentum it has gained in its relations with Sudan and push for further improvements in the conduct of the Sudanese government." In January, then US president Obama eased the sanctions with a view to lifting them completely after a six-month review. But in July, President Donald Trump extended the review period to October 12, then last month, he removed Sudan from a list of countries hit by a US travel ban.